© 2002, © 2018 by Paul Freeman. Revised 11/8/18. 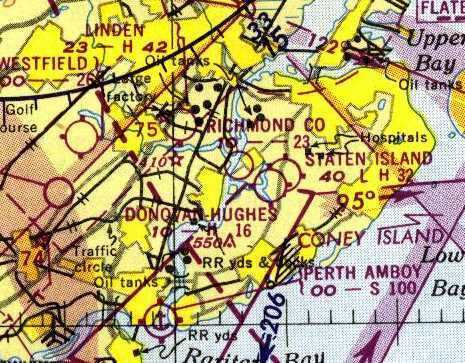 Donovan Hughes Airport, as depicted on the 1934 NY Sectional Chart. According to Ed Drury's “Staten Island: The Other Cradle of Aviation”, “George Schaaf founded Richmond Airways in 1926. It later became Donovan-Hughes Airport. The airport was on the western side of Richmond Avenue. It had a single north/south gravel/turf runway & several hangars. There was a seaplane base in the Fresh Kills adjacent to the airport. 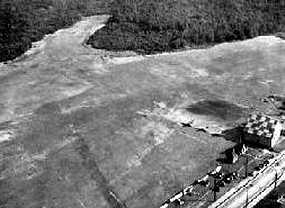 The seaplane base was considered part of the airport & was operated by Schaaf. Schaaf operated Richmond Airways Inc. as a sightseeing & charter company. The name Donovan-Hughes must have referred to an operator of the field at some time. Other than the airport name, I've found no reference to either Donovan or Hughes. Even the old-timers who flew there have no recollection. 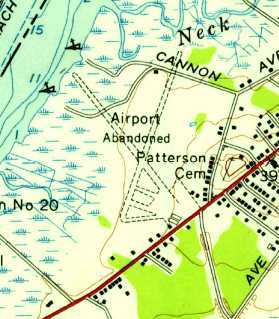 Donavan Hughes Airport was not yet depicted on the November 1931 NYC-Albany Air Navigation Map. 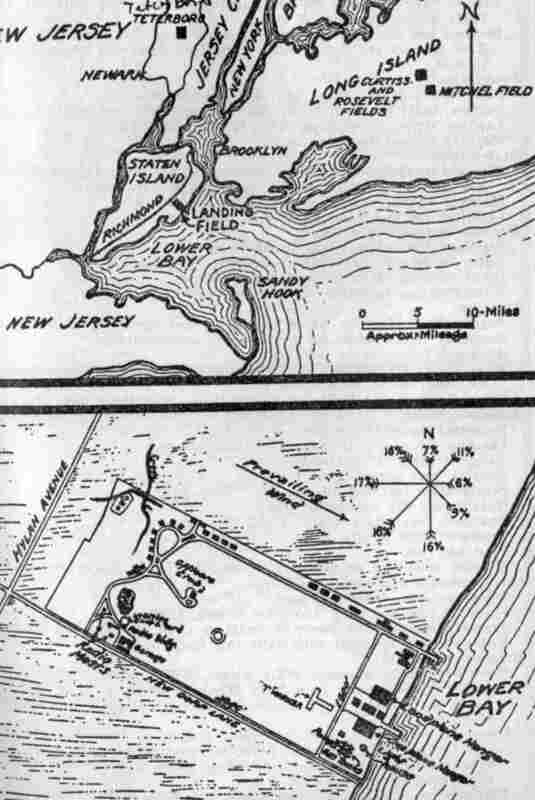 The earliest depiction which has been located of Donovan Hughes Airport was on the 1934 NY Sectional Chart. It depicted Donovan Hughes as a commercial/municipal airport. An undated (circa 1930s?) photo of a rare radial-engined Fairchild at Donovan-Hughes Airport (courtesy of Ed Drury from ”Staten Island: The Other Cradle of Aviation”). listed Donovan Hughes among the 96 airports dotting the Empire State. A 2/25/36 photo of a rare radial-engined Fairchild flown by Dr. & Mrs. Conrad Meibauer landing on the ice-covered Fish Kills Creek adjacent to Donovan-Hughes Airport (courtesy of Ed Drury). George Schaaf of Richmond Airways had used the frozen creek for flight operations for a month. A hangar can be seen under the plane's wingtip, on the left. 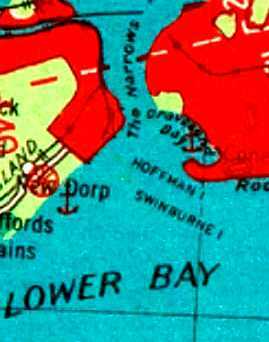 Donovan Hughes Airport, as depicted on the November 1942 NY Sectional Chart (courtesy of Ron Plante). A 10/1/42 U.S. Military aerial view looking east at Donovan Hughes Airport (from the National Archives, courtesy of Brian Rehwinkel). It depicted an irregularly-shaped unpaved airfield, primarily oriented north/south, with a small checkerboard-roof hangar & 2 T-hangars on the southwest side. There were no aircraft visible on the field, evidently the result its wartime closure due to restrictions on general aviation near the coasts. 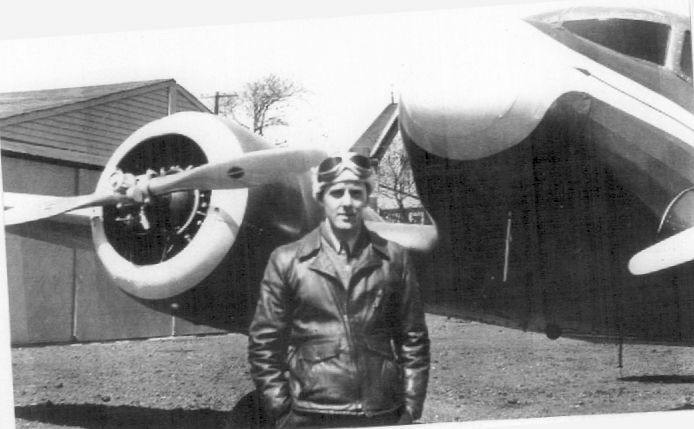 According to Mark Hess, “On 2/2/43, 2nd Lt. George La Rose, Civil Air Patrol pilot made a forced landing at Donovan-Hughes Airport in his Taylorcraft. 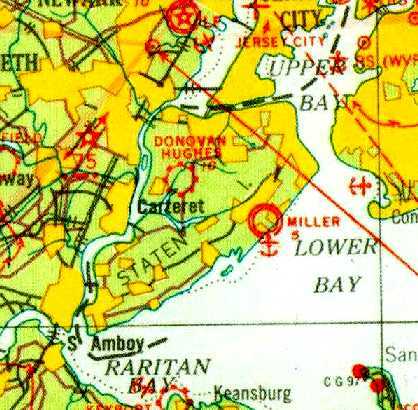 According to Staten Island Historian Tom Matteo, “The airport reopened in 1945.
on the August 1946 NY Terminal Aeronautical Chart (courtesy of Tim Zukas). 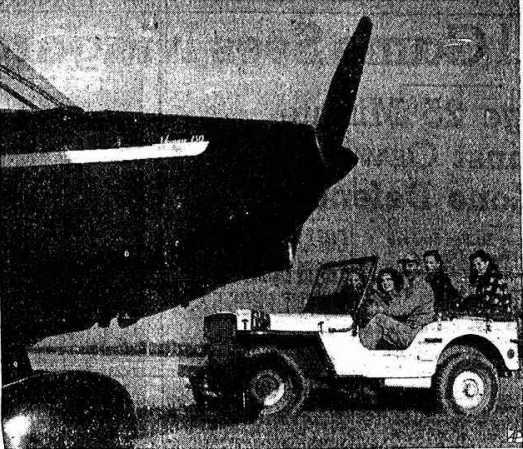 An undated photo from the 11/30/46 Niagara Falls Gazette (courtesy of Mark Hess) of a group driving up to a plane at Donovan-Hughes Airport. drives 4 NY models in a Jeep to a small plane at Donovan-Hughes Airport, Staten Island, for their 1st flying lesson. 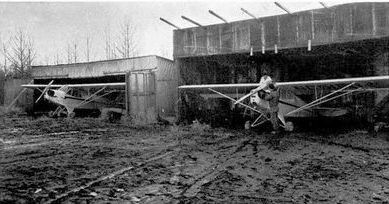 A 1946 photo of 2 Piper Cubs in the mud in front of the Richmond Flying Service hangars at Donovan-Hughes Airport (courtesy of Ed Drury). Ed Drury recalled of Donovan-Hughes, “It wasn't a very big airport. A circa 1946 photo of a Rearwin Cloudster at Donovan-Hughes Airport (courtesy of Ed Drury). overflying a surplus North American T-6 Texan. Bob Kaplan recalled, “Back on 8/31/47 I flew a solo cross country from Donovan Hughes Airport to Washington National Airport. Got up in the morning & flew back to Donovan Hughes. as depicted on a 1947 USGS map. as depicted on the 1949 USGS map. A 1949 photo of Sy Commanday in front of a Waco UPF-7 Donovan Hughes Airport. Sy remarked, “The owner of the aircraft is kneeling with his back to me. He had recently purchased the plane for $800. A circa 1949 photo of a row of monoplanes & biplanes at Donovan-Hughes Airport (courtesy of Ed Drury, author of ”Staten Island: The Other Cradle of Aviation”). 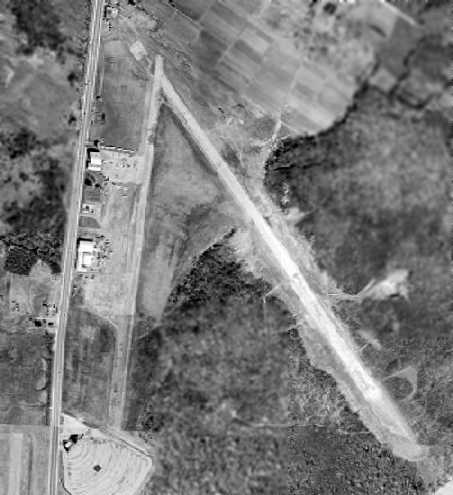 The last photo which has been located showing Donovan Hughes Airport in operation was a 1951 aerial view. It depicted a north/south runway, along with what appeared to be the remains of a crosswind east/west runway. A few small buildings were on the southeast & southwest side of the north/south runway. adjacent to the southwest side of Staten Island Airport. “Richard Gans operated [the airport] until its demise in 1952.
a local farmer, who opened an auto racetrack & a golf driving range on the property. Even though the airport was legally closed, Cabby's shop stayed open. and many were rolled across the street from the other airport early on a Sunday morning. One day a man known as 'Goldie' landed his Beechcraft Bonanza wheels-up on the field. with an oval racetrack covering the southern half of the north/south runway. A few small buildings remained on the southeast & southwest side of the former north/south runway. 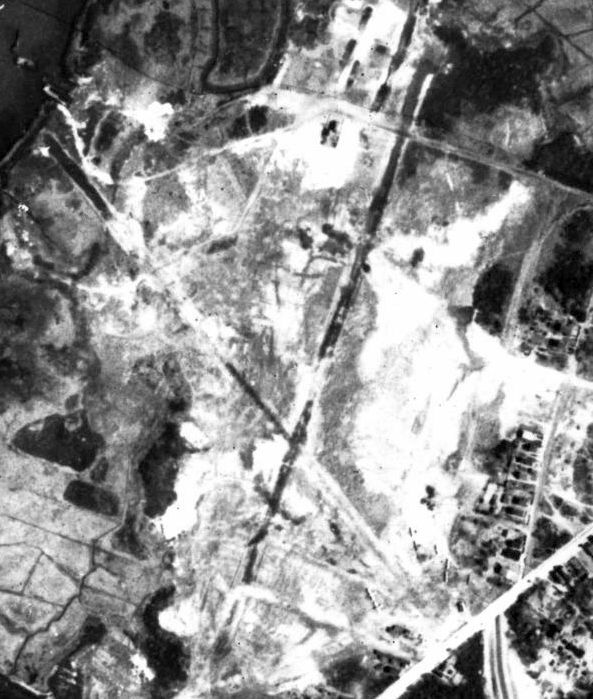 which depicted a single unpaved north/south runway, labeled “Airstrip Abandoned”. nor was it depicted on the 1961 NY Local Aeronautical Chart (courtesy of Tim Zukas). A 6/18/10 aerial photo shows the landfill covering the site of Donovan Hughes Airport, with not a trace remaining of the airport. The site of Donovan Hughes Airport is located northwest of the intersection of Richmond Avenue & Forest Hill Road. 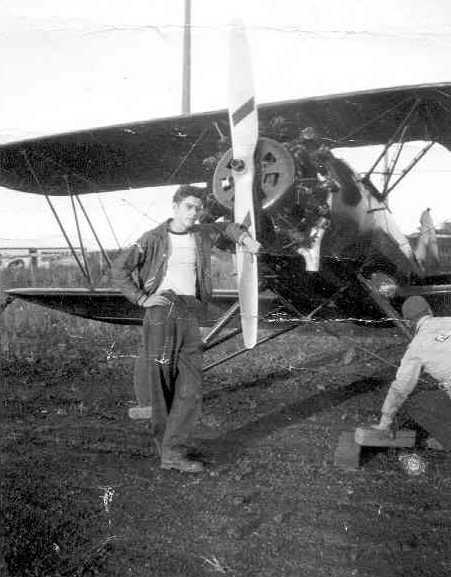 A 1928 photo (presumably taken at the Richmond Hill airfield which would eventually become Staten Island Airport) of a Bellanca CH-200 Pacemaker with her original owner & Mario Bellanca (courtesy of Ed Drury). At various times in the past century, Staten Island had a total of 4 airports. 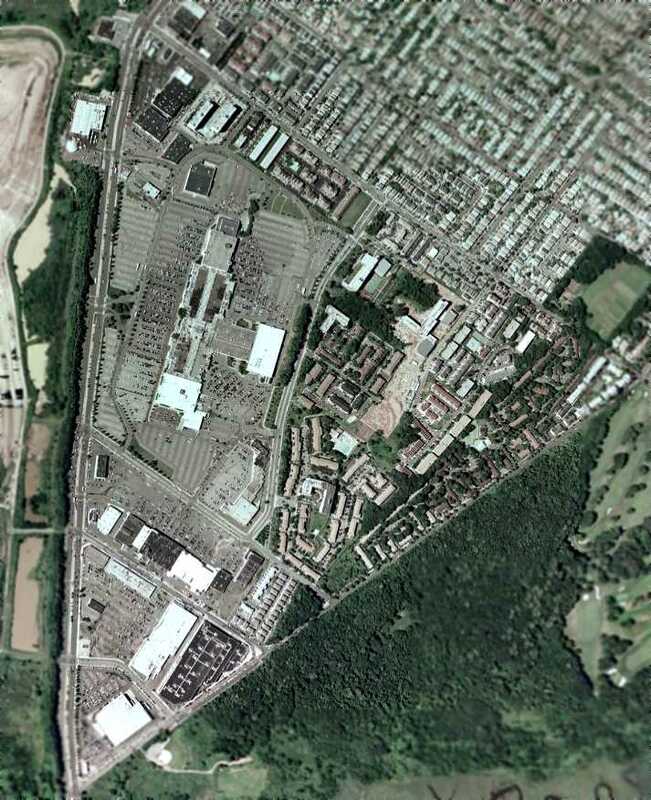 One of them was Staten Island Airport, located on the east side of Richmond Avenue, south of Richmond Hill Road. 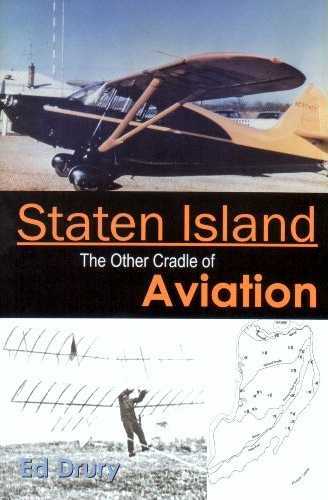 Staten Island Airport was the largest privately owned airfield in the city, with more than 250 acres. It was located just across the road from another former airport, Donovan-Hughes Airport. 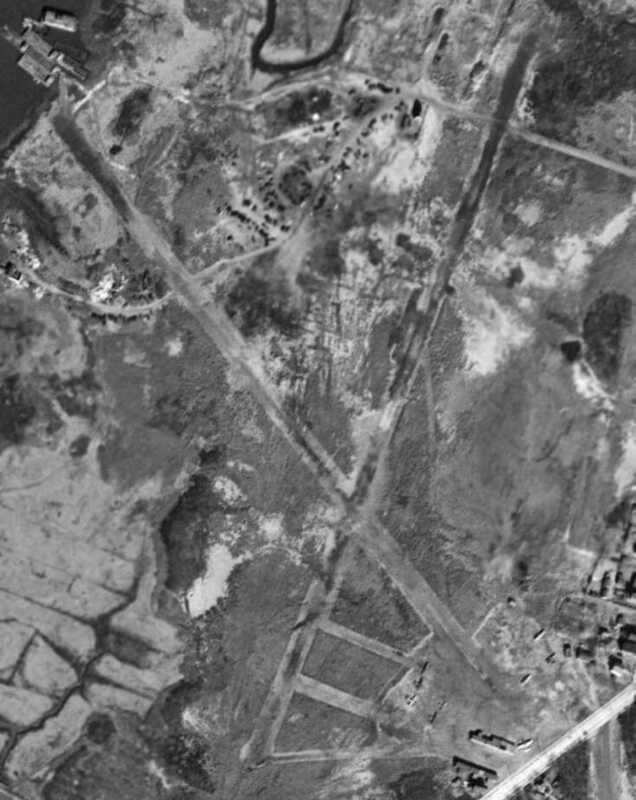 No airfield was yet depicted at this location on a 1924 aerial photo. According to Ed Drury, “The Bellanca factory was on Staten Island for about a year. Most of the CH models were built here: CH 200, not the CH300 & up. the development of Staten Island Airport was begun by Ed McCormick in 1935.
nd he would later become the operator of Staten Island Airport. 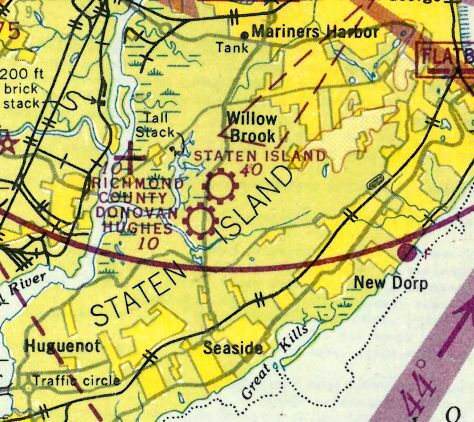 Staten Island Airport was not yet depicted on the March 1940 NY Sectional Chart (courtesy of Tim Zukas). The Staten Island Airport opened in 1941. Benjamin Smith reported, “My grandfather, Allan Heinsohn, was one of the principles at Cousin's Air, Inc. along with Charles H. Retz at Staten Island Airport. I have my grandfather's flight log. As this photo depicted the field with grass runways, it may have been taken very early in the airport's lifespan. as was also the case at many other small civil airports along the East Coast during WW2. on the November 1942 Regional Aeronautical Chart (courtesy of Chris Kennedy). the 1945 NY Sectional Chart (courtesy of Norman Freed). Staten Island Airport was evidently reopened at some point in 1945.
is a flight from West Nyack to Staten Island in a Piper J-3 Cub on 9/30/45. He flew another aircraft there on 12/27/45. from a promotional brochure touting the field (courtesy of Ed Drury). one running North/South for 3,000', the other Northwest/Southeast for 3,700'. in safe, clean, uncrowded conditions." and being the NY airport which was "singularly free of crossing airline traffic". as having a 2,900' hard-surface runway. (courtesy of Ed Drury from ”Staten Island: The Other Cradle of Aviation”). According to Ed Drury, “A & E stood for Anken & Engel. and the drive-in movie theater immediately off the south end of the runway (courtesy of Ed Drury from ”Staten Island: The Other Cradle of Aviation”). 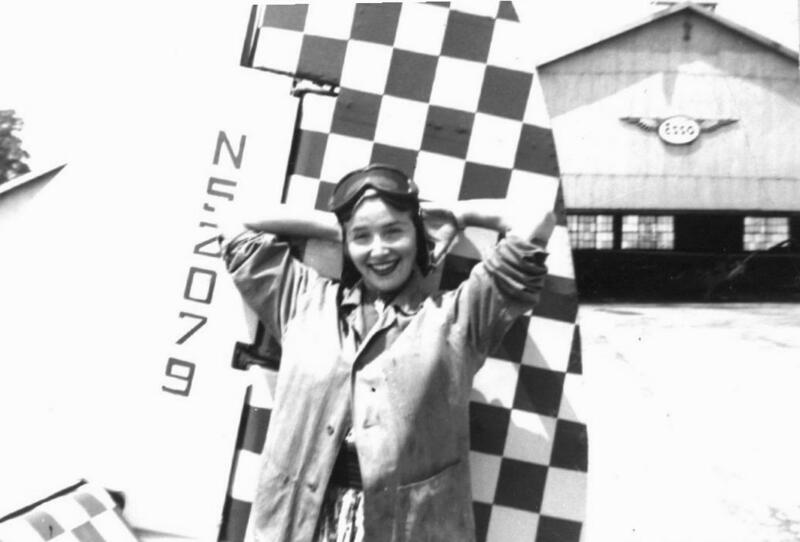 A young woman posing in front of a plane belonging to Fred Zurhmelan at Staten island Airport in 1950 (courtesy of Ed Drury). 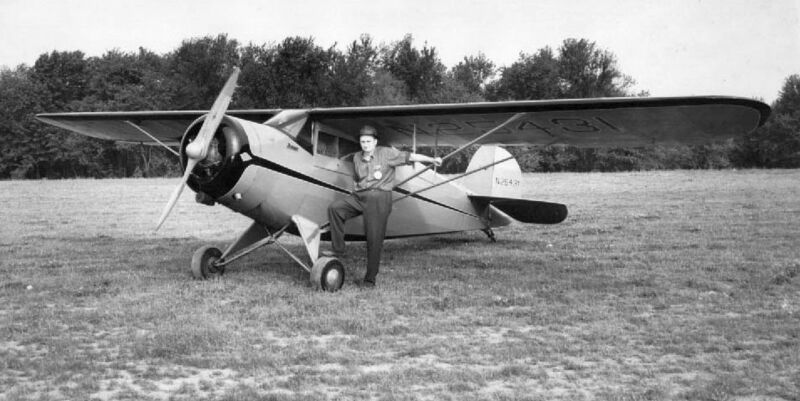 A circa 1950 photo of Joe West in front of a Cessna T-50 “Bamboo Bomber”, at the north end of Staten Island Airport by the A&E hangar (courtesy of Ed Drury). and Appointment Airlines (run by TV star Bill Cullen). as Ed Drury said it "was never in use in my time. It was shortened & ended at the end of the hangars. The hangars became a farmers market & the aircraft were relegated to the northern end of the field." for the drive-in theater that was erected next to the airport. 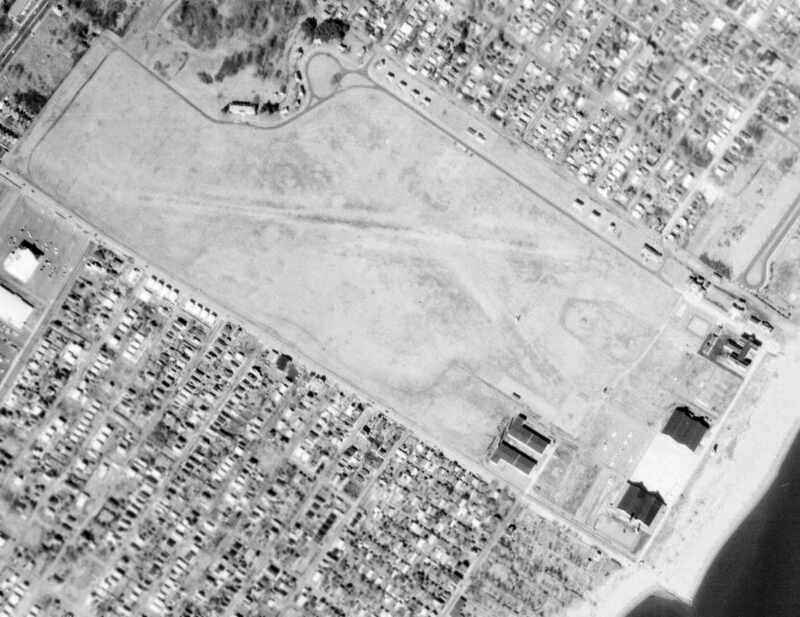 The last aerial photo which has been located showing the Staten Island Airport still open was a 1954 aerial view. It depicted the airport as having a single paved northwest/southeast runway. but the southern end had been truncated by the construction of a drive-in movie theater. 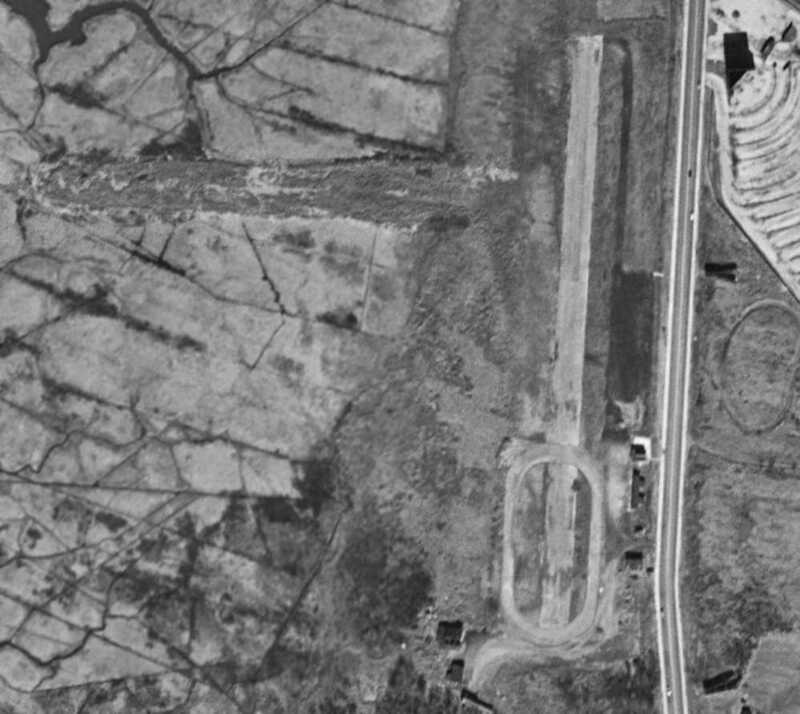 A closeup from the 1954 aerial view of Staten Island Airport. but only the northern hangar appeared to be used for aviation purposes. Around the northern hangar were visible a total of 15 single-engine aircraft. but the airport remained open for another 9 years. 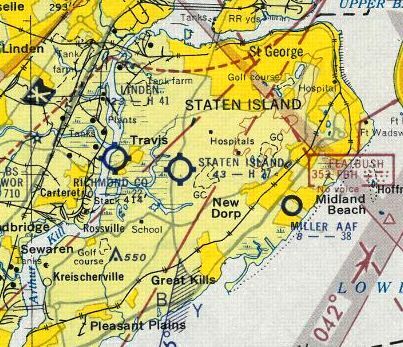 The 1955 USGS topo map depicted Staten Island Airport as having 3 unpaved runways & several buildings along the west side. 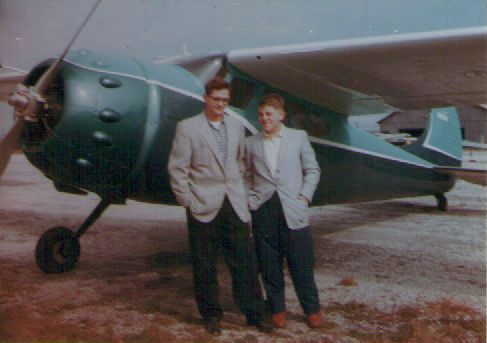 A circa 1957 photo of Jack & Ed Drury in front of their father's Cessna 190 N1055D at Staten Island Airport (courtesy of Ed Drury). Ed recalled, “I flew that plane for over 800 hours. It also had crosswind landing gear. So if you pulled up to fuel & spun it on a brake, one wheel would appear broken. with the primary being a 2,700' paved runway, but it also included the remark, "North/south runway closed." 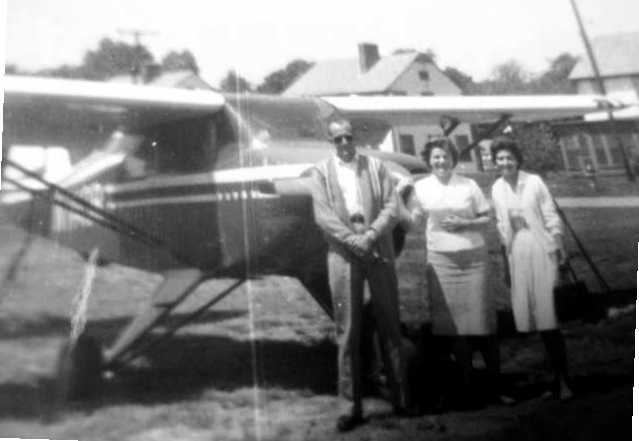 The last photo which has been located showing the Staten Island Airport still open was a May 1960 photo by Wilred Robles of 2 Pipers & a Cessna in front of a hangar. Wilfred Robles recalled, “As a teenager I took flying lessons at Staten Island Airport through Staten Island Flying Service. The flying service was owned by Joe Cartiglia & Frank Flavale. (a yellow Cub, a yellow Cub with a black nose, and an aqua green & gray Cub licensed as 1107D). They also owned a Cessna 172, in which I received instrument training, and possibly an additional Cessna 175.
which I was told by Bill Douglas, had landed & burned in-situ. The pilot & passengers apparently jumping out of it unharmed, only to watch it burn. It depicted the field as having a 2,700' paved runway. 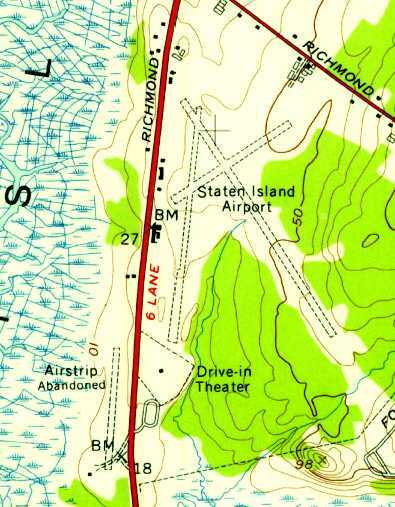 Staten Island Airport closed in 1964. According to pilot Ed Drury, after Ed McCormick died, his widow sold the field for $40,000. Other sources indicate that the field closed after the operator lost his lease & the owner sold the land. 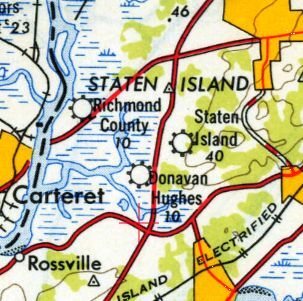 Staten Island Airport was no longer depicted at all (not even as an abandoned airfield). 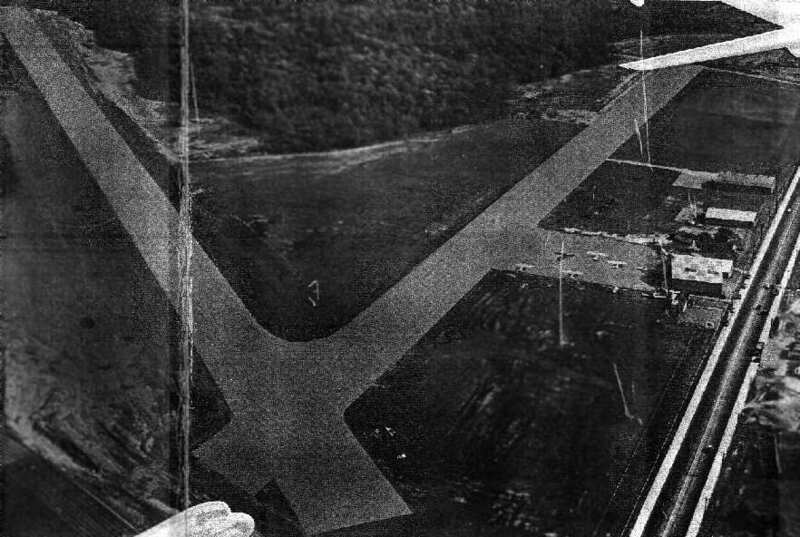 A 1966 aerial view of the site of Staten Island Airport showed that the 2 hangars remained intact. over the southern end of the former north/south runway (just north of the drive-in movie theater). A road cut through the middle of the former northwest/southeast runway, which was otherwise intact. along with the drive-in movie theater. with the majority of the length of the 2 former runways still intact. The Staten Island Mall opened in 1973 on the site of the former airport. erasing any remaining trace of the former Staten Island Airport. An undated (circa 2000s?) photo a relocated former hangar from Staten Island Airport (courtesy of Ed Drury from ”Staten Island: The Other Cradle of Aviation”). 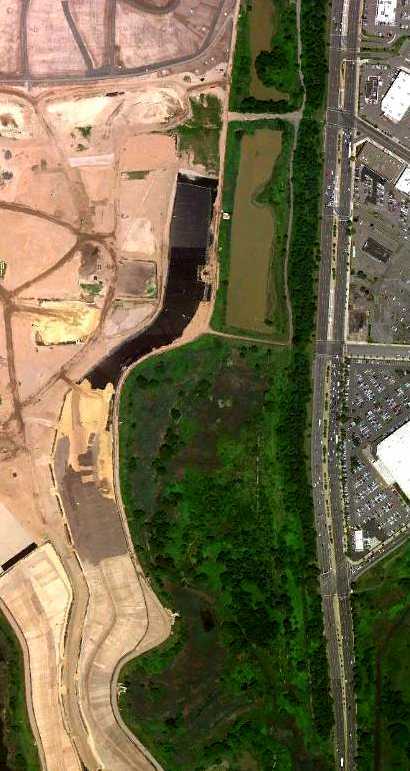 As seen in a July 5, 2007 aerial photo, not a trace appears to remain of the former Staten Island Airport. Ed Drury observed, "The site now contains a mall & 2 separate shopping centers. Just behind the plot are unending condos & townhouses. A far cry from the sleepy little airport." A 10/1/42 U.S. Military aerial view looking north at Richmond County Airport (from the National Archives, courtesy of Brian Rehwinkel). 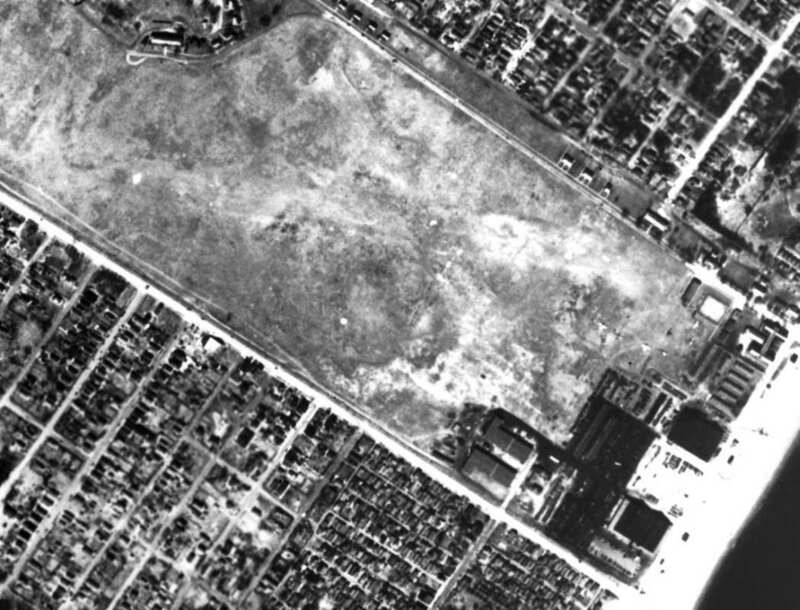 A 1940 aerial photo did not depict any sign of an airport at this location. 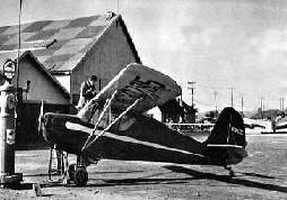 “In 1941, the Richmond County Airport was opened by John Cosgrove in Travis as a commercial airport. 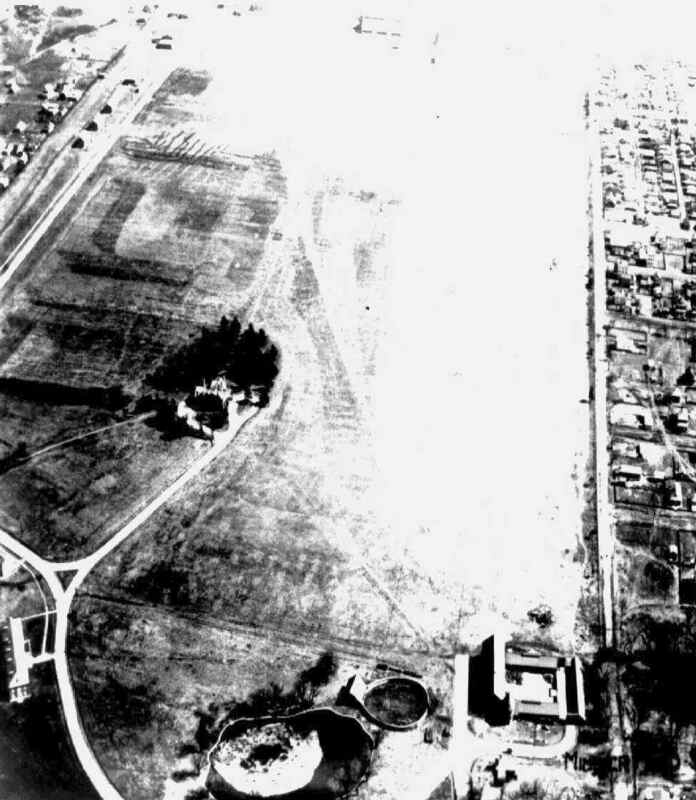 The earliest depiction which has been located of Richmond County Airport Airport was a 10/1/42 U.S. Military aerial view looking north (from the National Archives, courtesy of Brian Rehwinkel). It depicted an irregularly-shaped unpaved airfield, with a few small hangars & T-hangars on the east side. 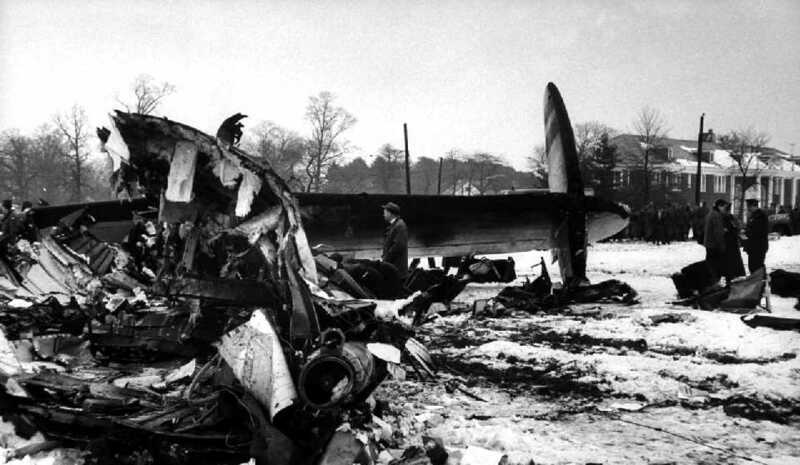 There were no aircraft visible on the field, though, which may have been the result of wartime restrictions on general aviation near the coasts. It depicted Richmond County as a commercial/municipal airport. A 1947 aerial view depicted Richmond County Airport as having 8 single-engine aircraft parked around a few small buildings on the northwest side of Victory Boulevard. The airfield consisted of an open grass area. 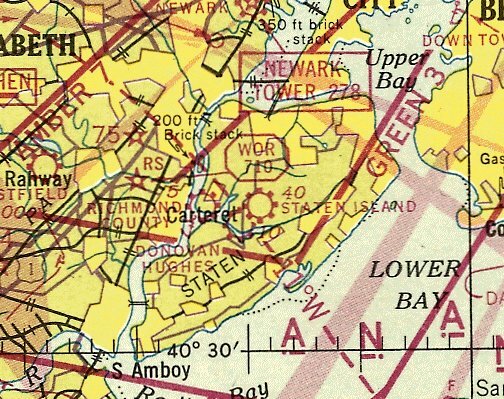 The 1950 NY Sectional Chart depicted Richmond County Airport as having a 2,300' unpaved runway. A 1951 aerial view depicted Richmond County Airport as having 8 single-engine aircraft parked around a few small buildings. At some point between 1947-51 the airfield had gained 2 distinct unpaved runways, oriented northwest/southeast & northeast/southwest. An undated (circa 1950s?) 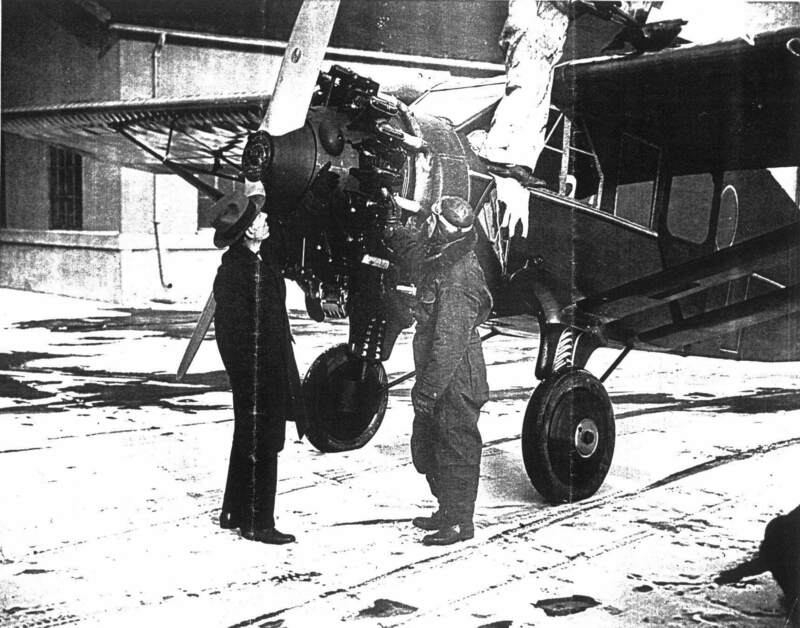 photo of a military surplus Vultee BT-13 at Richmond County Airport (courtesy of Ed Drury from ”Staten Island: The Other Cradle of Aviation”). which depicted Richmond County Airport as having a 2,200' unpaved runway. 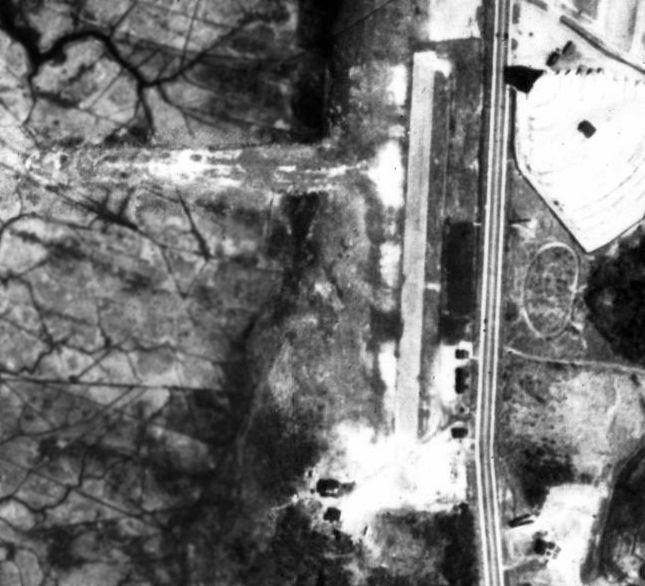 The last photo which has been located showing Richmond County Airport still in operation was a 2/18/54 aerial view. It depicted a total of 7 single-engine aircraft parked around a few small buildings. Several taxiways led to a ramp area on the northwest side of Victory Boulevard. According to Staten Island Historian Tom Matteo, “Richmond County Airport... was unable to keep up with the growing tax burden & was closed in 1955.
which depicted 2 unpaved runways, a ramp, and several buildings, labeled “Airport Abandoned”. 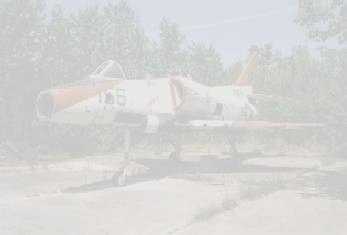 with the site having been wiped clean, erasing any traces of Richmond County Airport. 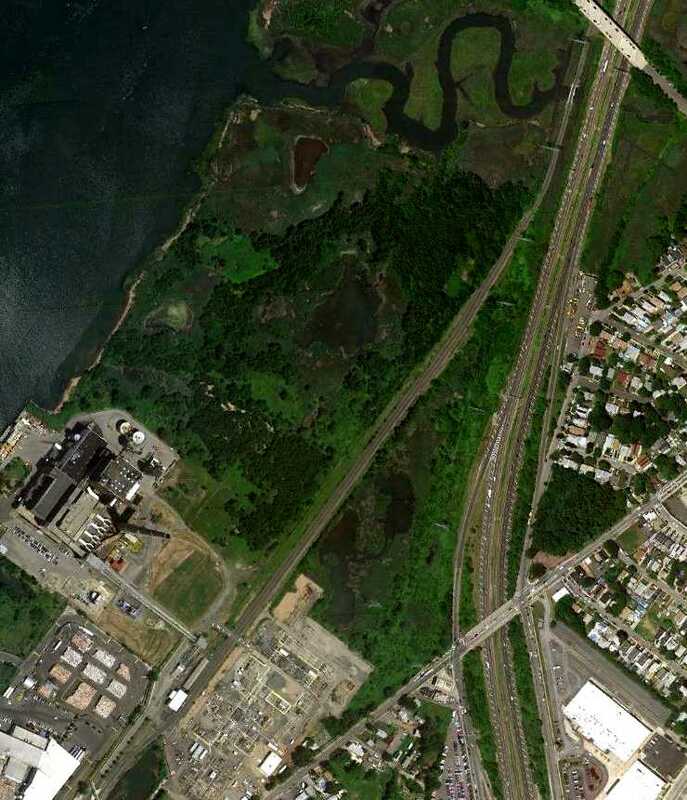 Construction had begun on a Con Edison power plant on the west side of the airport site. Richmond County Airport was no longer depicted on the 1961 NY Local Aeronautical Chart (courtesy of Tim Zukas). 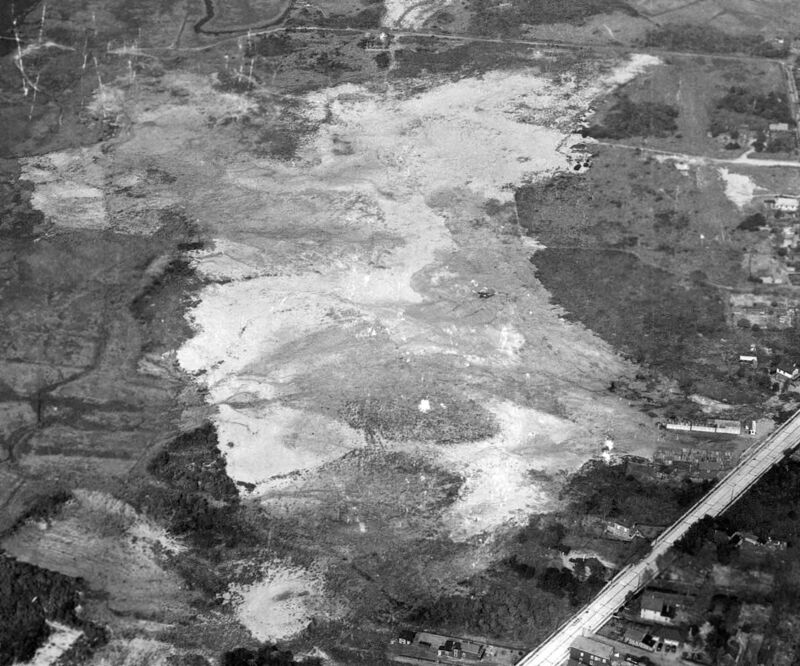 Aerial photos show that between 1966-70, the West Shore Expressway was built through the eastern portion of the Richmond County Airport site. 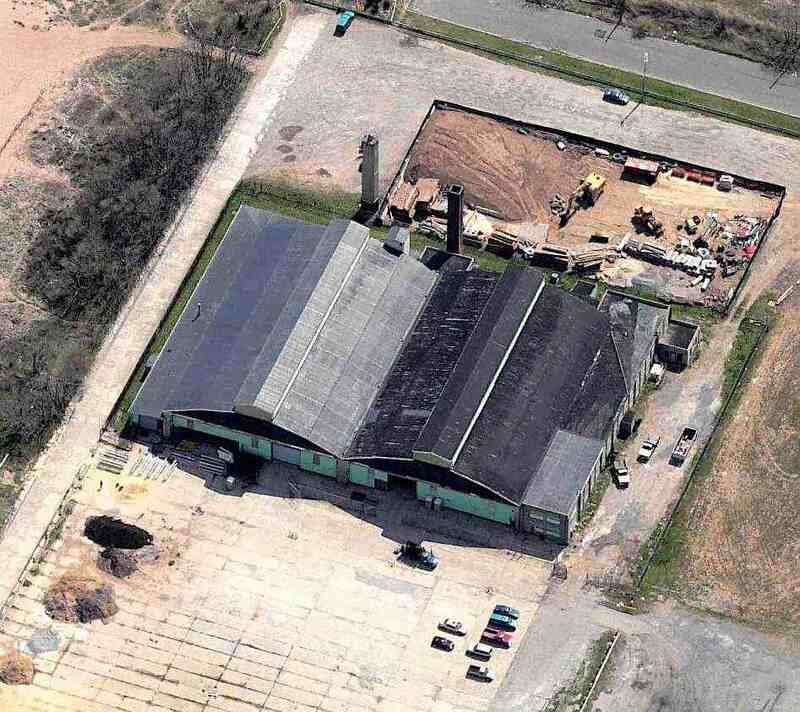 A 6/18/10 aerial photo shows not a trace remaining of Richmond County Airport. A 7/21/12 aerial view by Paul Freeman looking east at the site of Richmond County Airport. The majority of the site remains clear, with the southern portion being covered by the NRG Energy plant. The site of Richmond County Airport is located northwest of the intersection of Victory Boulevard & the West Shore Expressway. Miller Field, as depicted on the 1923 New York – Bellefonte Air Navigation Map #3 (courtesy of David Brooks). This airfield is located on the shore of Staten Island, along Lower New York Bay. its primary mission being to assist the Coast Artillery in the defense of New York Harbor. Construction began in November 1919 of the field's 2 sod runways, seaplane ramps, and 4 hangars. who was shot down & killed by a German aircraft on March 10, 1918 over German-held territory in the Rheims sector. yet was initially little used. By October 1922, no Army Air Service personnel remained at the field. 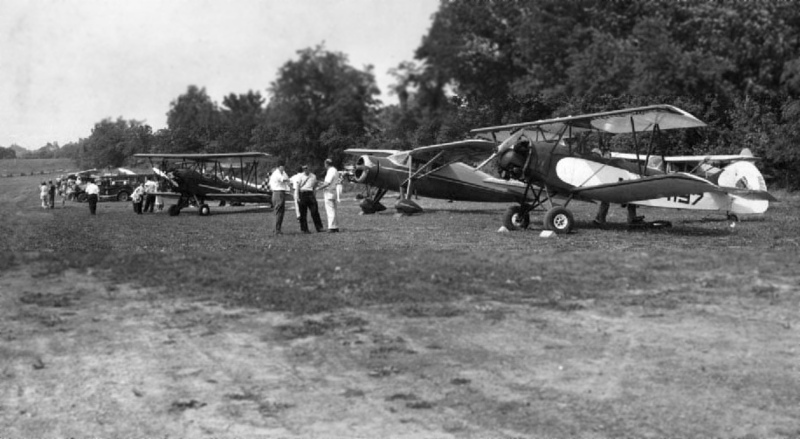 In 1923, the NY National Guard's 102nd Observation Squadron moved from Long Island's Mitchel Field to Miller Field. 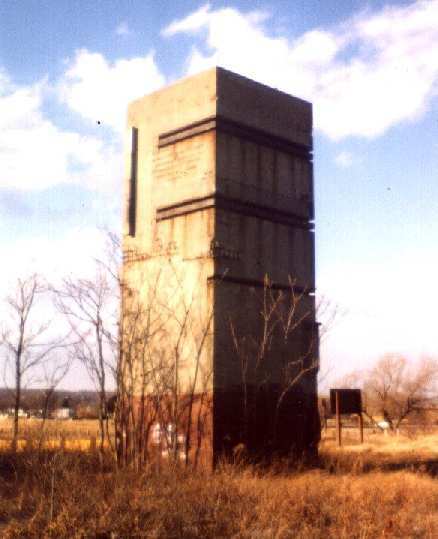 This unit, part of the 27th Division's Aviation section, remained at Miller Field through the 1930s. was on the 1923 New York – Bellefonte Air Navigation Map #3 (courtesy of David Brooks). was a 1924 aerial view (from the NYCityMap, courtesy of Chris Kennedy). It depicted the field as a rectangular grass area within which were 4 grass runways. 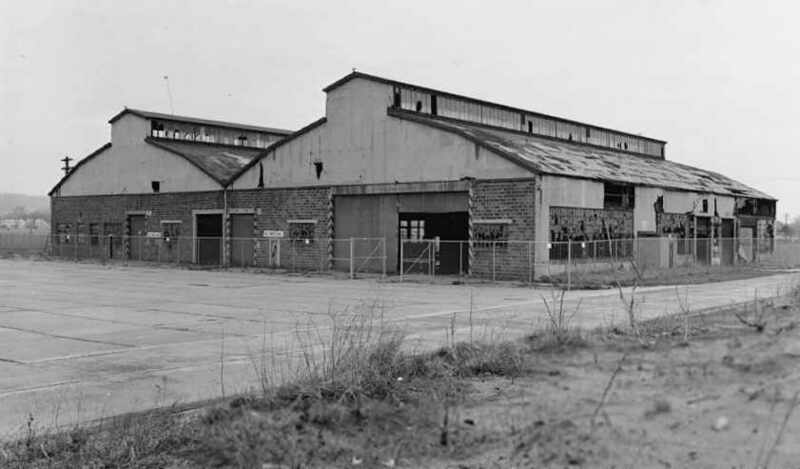 A hangar & several other buildings were located at the southeastern corner of the field. 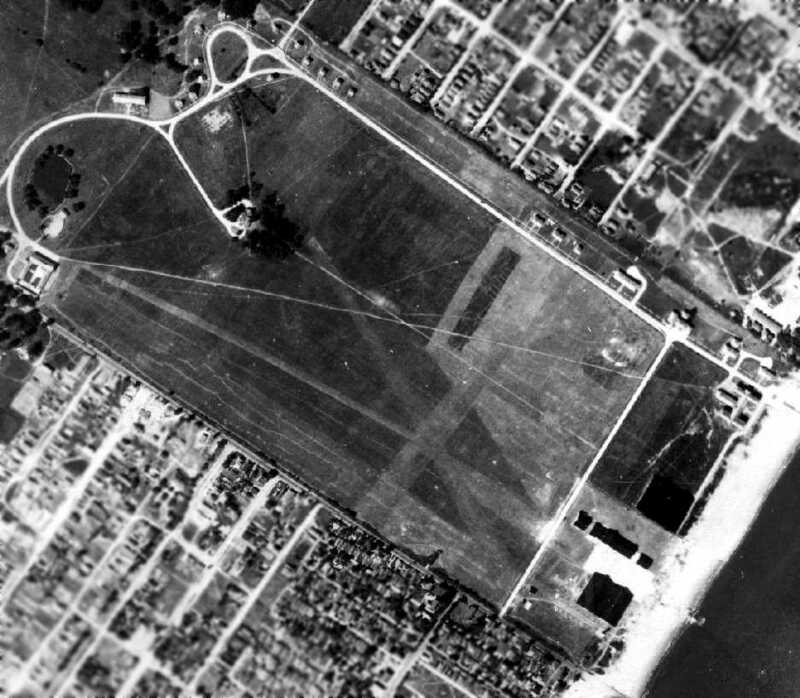 Miller Field was the site of military air shows in the 1920s. included a mock air attack on nearby Fort Wadsworth using sacks of flour as simulated bombs. after 2 & a half months of intensive training at Camp Dix, NJ. An undated (circa 1920s?) 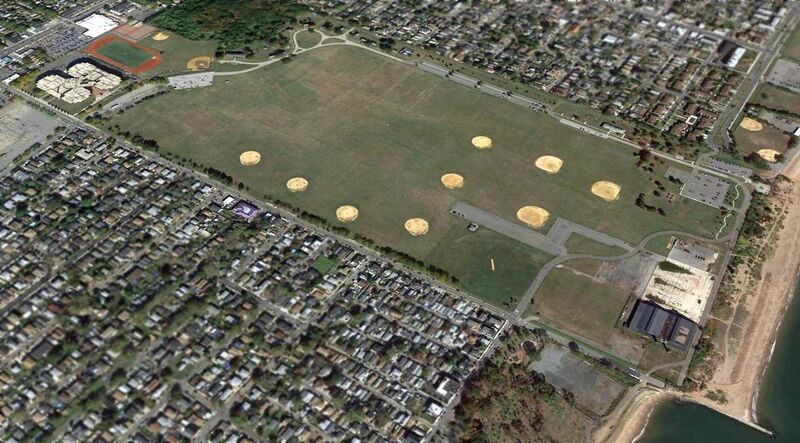 aerial view looking east at Miller Field (courtesy of Ed Drury from ”Staten Island: The Other Cradle of Aviation”). 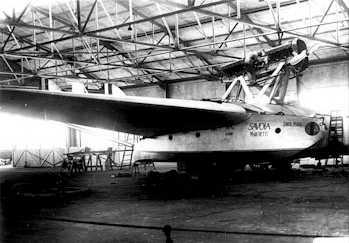 A May 1927 photo of the Savoia Marchetti S-55 Santa Maria II flying boat undergoing final assembly inside the Miller Field hangar. before completing its historic North American tour. 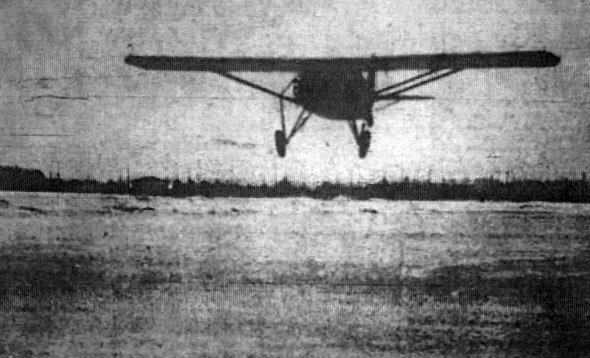 During the summer of 1928, Adm. Richard Byrd, the polar explorer, tested his Ford Trimotor named "Floyd Bennett" at Miller Field. A 1929 NY Legislative Report (courtesy of Tom Heitzman) described Miller Field as a 186 acre rectangular sod field with hangars on the east side. By 1931, the little-used Miller Field was being considered for sale as surplus. 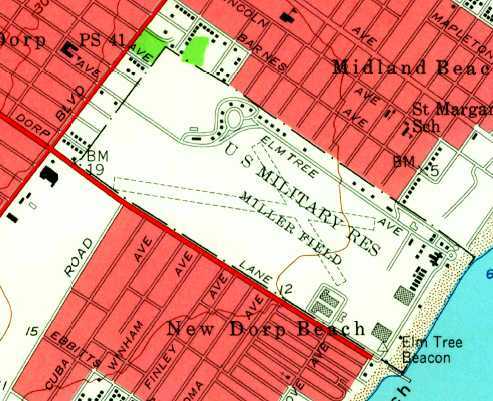 In May 1931, Miller Field was included in the 53 military posts slated for abandonment & sale. However, the field was retained as Headquarters of the Aviation Section of the 27th Division. 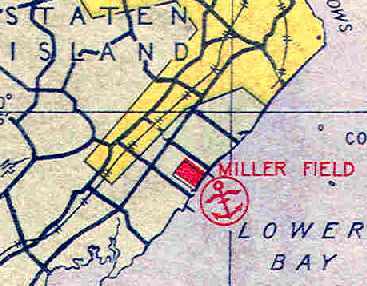 The earliest aeronautical chart depiction which has been located of Miller Field was on the November 1931 NYC-Albany Air Navigation Map. Two undated (circa 1930s?) 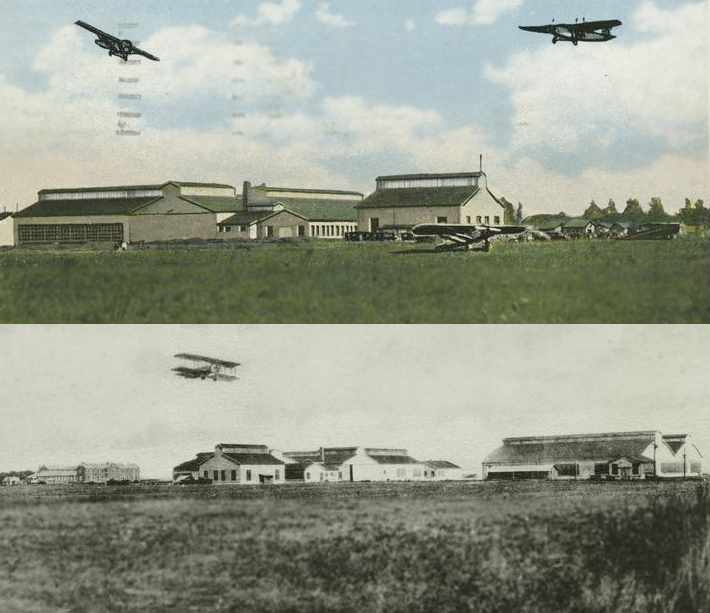 postcard photos showing hangars & aircraft at Miller Field (courtesy of James Hanlon). 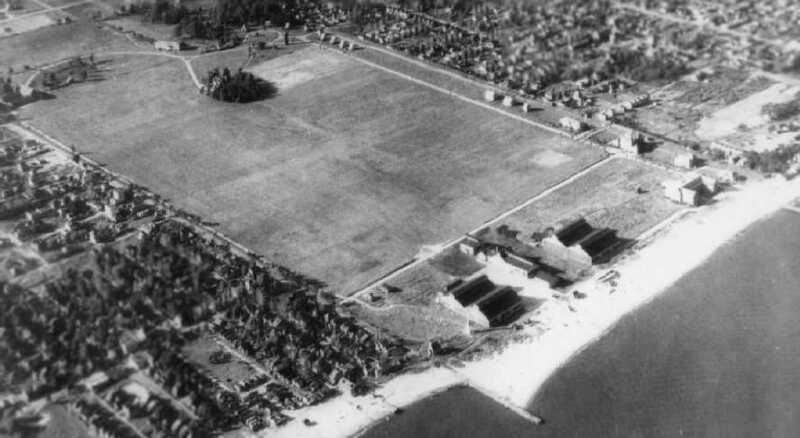 depicted Miller Field as a rectangular field with an adjacent seaplane base. A 1935 aerial view looking north at Miller Field (from the 2/2009 issue of the Coast Defense Journal, courtesy of Ron Plante & Mark Berhow). described Miller Field as consisting of a rectangular 2,800' x 1,600' sod landing area. with "ramp & facilities for hauling seaplanes & amphibians ashore." On 10/15/40, the 102nd Observation Squadron was activated for federal service & moved to Fort McClellan, AL. Miller Field's broad open area served as storage for trucks & other material awaiting shipment overseas during World War II. as well as one of the many facilities holding Axis Prisoners Of War. or the August 1946 NY Terminal Aeronautical Chart (courtesy of Tim Zukas). as no airfield at the site was depicted on the 1950 NY Sectional Chart (courtesy of Mike Keefe). 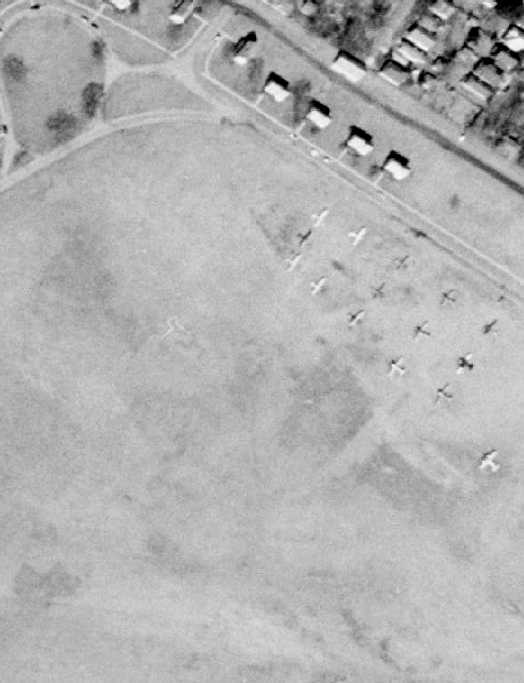 as a 1951 aerial view depicted at least 5 single-engine light aircraft parked on the east end of the grass airfield. 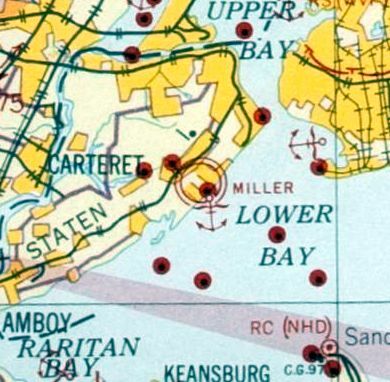 "Miller (Army)" was depicted on the 1952 NY Sectional Chart (courtesy of Mike Keefe). 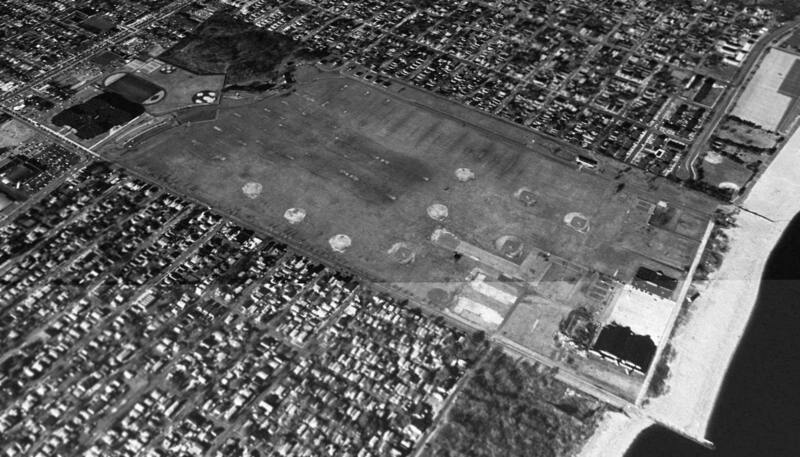 A 1954 aerial view depicted a total of 15 light aircraft parked along the northern edge of Miller Field. Where these Civil Air Patrol aircraft? The 1955 USGS topo map depicted “U S Military Res Miller Field” as having 2 unpaved runways, with the hangars along the southeast side. as having 2 runways, with the primary being a 3,800' turf strip. 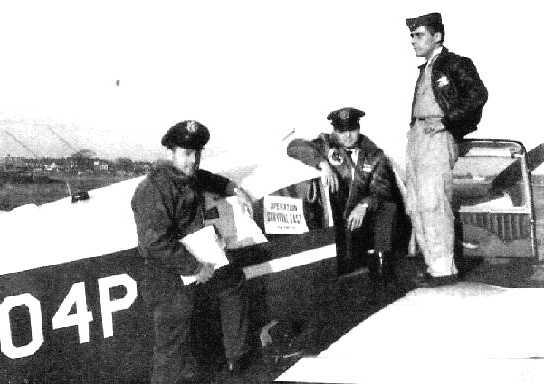 during the latter years of Miller Field's active use it was opened to planes of the Civil Air Patrol. a Civil Air Patrol radiation testing mission. Chris Christensen recalled, “In March of 1959 I was assigned to Fort Wadsworth. I was sent to the Brigade Aviation Section on Miller Field to be their aircraft supply clerk. That was a start of a 20-year Army aviation career built around helicopter maintenance. Not much is written about the Active Army units & facilities that were located there. which was primarily Department of the Army civilians who did higher-level of maintenance of both fixed-wing & rotary-wing aircraft. There was the 52nd Artillery Brigade (Air Defense) Aviation Section who supported the mission of NYC metropolitan Nike sites. including Nikita Krushchev at the time that he slammed his shoe down on the podium at the United Nations. and while I was there from 1959-62 I never heard of that. It was not very well known in those days by those that worked there. Our unit had 3 H-13s which had the large bubble over the cockpit & could carry 2 people including the pilot. We also had 2 H-21C cargo helicopters. A circa 1960 photo by Chris Christensen of an Army Piasecki H-21C with deployed floats at Miller AAF. 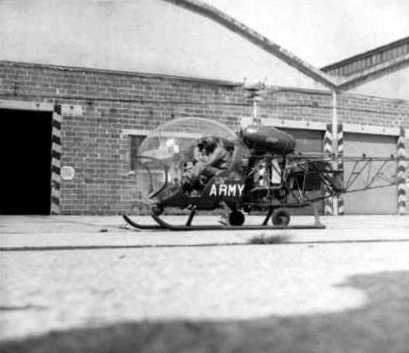 An August 1960 photo by Chris Christensen of an Army Bell H-13 in front of the Miller hangars. A circa 1960 photo by Chris Christensen of 2 Army Bell H-13s inside a flooded Miller hangar. Note that the helicopter on the left has its skids submerged, whereas the helicopter on the right, being equipped with floats, is floating. Chris recalled of the Miller flood: “What I remember is 2 hurricanes. and there were drains out in the middle which I don't know where they drained to. as well as a helipad in between the 2 large hangars along the shoreline on the southeast corner of the field. and a Douglas DC-8 (United Flight 826) bound for Idlewild (JFK) collided just west of Miller Field. The Connie came down in Miller Field, the DC-8 in Park Slope, Brooklyn. which fell on Miller Field after a collision with a DC-8 on 12/16/60. and one Navion L-17 & a Cessna 126. I know the 2 H-21s were turned in & were supposed to be replaced with 2 UH-1 Hueys. I don't know that the replacements did ever come in. I know the flying club Navion did have an engine failure after I left in 1962 & it fell in the drink off the end of the runway. They supposedly tried to drag it out of the water & onto the beach but apparently put a chain around the tail & pulled the tail off. A 1962 photo (courtesy of Mark Hess) of Civil Air Patrol aircraft at Miller Field for Operation Lifeline. Mark reported, “Operation Lifeline was a 1962 NY Civil Defense/CAP Joint Exercise. first aid, evacuation & other joint training with local & NY state agencies at Miller Field. and as a base of operations for Civil Air Patrol units. During that period, my father, Captain Albert Turner was the Officer in Charge of the 52nd Air Defense Artillery Brigade Aviation Section. 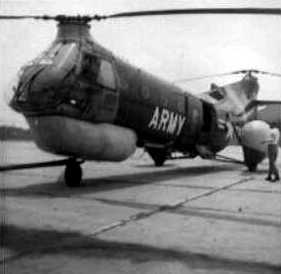 The unit had Bell H-13 & Hiller H-23 helicopters, some of which were on floats & some of which were not. but my father also flew these aircraft regularly from Miller Field in support of nearby Nike Hercules missile sites. I believe there was a second Army Aviation unit at Miller Field, which used the 2nd large hangar. but I am reasonably sure that by 1962 they were no longer assigned there. which was not authorized by Army Regulations, but there had been some urgent support mission and he was the only H-21 pilot available. would signal his arrival by gunning the engine several times – especially impressive if the aircraft was the L-20 Beaver – as he approached the field. I would race to the porch of our house on the airfield & flash the porch lights on and off in return. my father would land his H-23 on that portion of the airfield immediately across the street from our house. I would run out & help him secure the aircraft for the night. I very clearly remember being shown how to disconnect the battery of the aircraft. and in 1966, shortly before my father left for UH-1 training at Fort Benning - the first Huey to visit Miller Field arrived. I remember my father taking me to look at the new aircraft. Randy continued, “The flying club at Miller Field was housed in one of 2 WWII-era buildings. It had several Piper Cubs, a Piper Tri-pacer, a Ryan Navion and a Cessna 195, which was its pride & joy. My father taught me the rudiments of flying in these aircraft, before the Navion & 195 were both lost in accidents. The Navion landed short in the ocean & I was there on the beach as an Army Reserve M-88 ARV was used to try & tow it out of the shallow water. was written off by a former naval aviator who made a bad approach but was said by flying club members to be 'too proud to go around'. Randy continued, “There were about 20 single homes on Miller Field, half for officers & half for enlisted. There was also a 'mansion' which had been turned into apartments for 4 senior officers. The houses were marvelous large old homes. My mother liked her house at Miller Field best out of all the places she lived with my father during his 30 year military career. 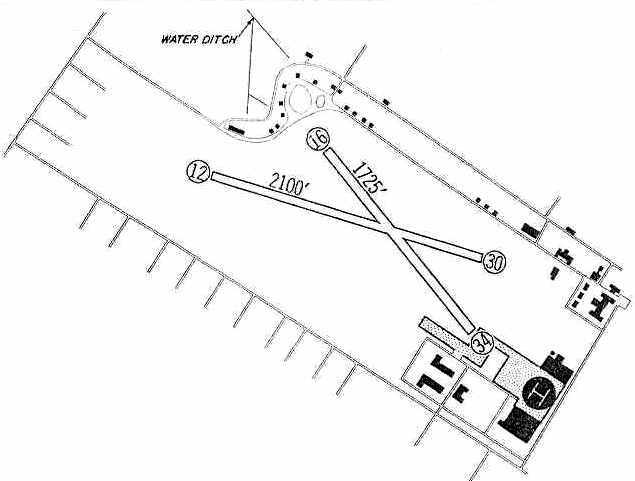 was bordered by numerous large concrete rectangles, upon which were mounted twin spotlights. had been used to illuminate the landing area for bomber aircraft based there in the 1920s. As I recall, during the 1962-66 timeframe, there was one grass runway with runway lighting. Randy continued, “New York City used to send barges full of refuse out beyond Sandy Hook, where they would be burned. Every day, the garbage being burned cast a long gray pall over the horizon beyond Miller Field. The children at Miller Field were taken to local schools by a small Army bus. depicted Miller AAF as having a 2,100' unpaved runway & a control tower. A 1964-65 photo of a Piper Tri-Pacer at Miller Field (courtesy of Mary Dalton). 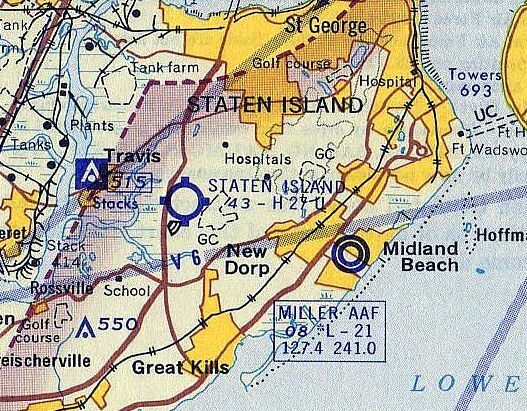 Miller AAF was still depicted as an active airfield on the 1965 NY Sectional Chart (courtesy of John Voss). but the remarks included, "Runway 16/34 emergency only." The airfield also had its own control tower. The last aircraft to use Miller Field were those of the National Guard & Reserve. 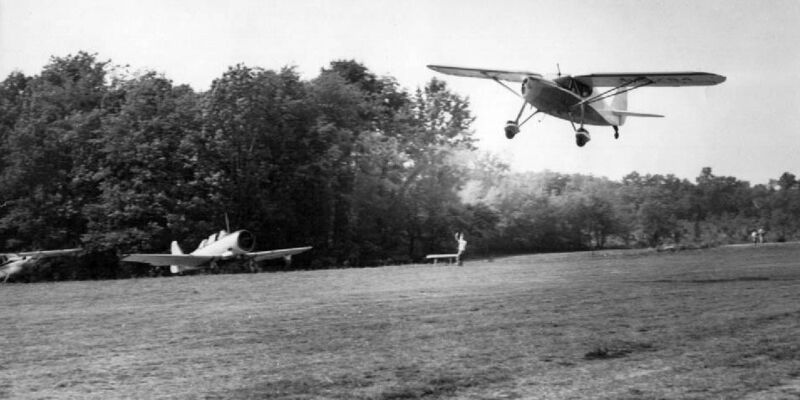 In its final years, Miller was the last grass airstrip within New York City. A 2/22/66 USGS aerial view depicted a total of 9 light single-engine aircraft parked on the southeast side of Miller Field. when I attended annual training at Miller AAF, as part of the 11th Special Forces Group (Army Reserve). We stayed in tents pitched inside the long northern boundary line of the field. The airfield was used as a drop zone for airborne (parachute) operations. for loading onto Albatross seaplanes, from which we parachuted into the White Mountains of NH. Miller AAF was not depicted at all on the March 1966 NY Sectional Chart (courtesy of Mike Keefe). A 1968 photo by Don Ryan (courtesy of Ed Drury) of several Cessnas in front of a control tower (temporary or portable?) at Miller Field, and one single-engine aircraft overflying the field. with this one snowing a Civil Air Patrol Cessna 170 & several other planes in front of Miller Field's distinctive North Hangar. with this one snowing a Civil Air Patrol Piper J-3 Cub at Miller Field. According to CAP Lt. Col. Henry Deutch, “Miller Army Air Field was an active airfield until it was closed on 6/30/70. to the National Park Service to be part of Gateway National Park. and Staten Island Group to Linden Airport in Linden, NJ. In 1974, Miller Field became part of the newly established Gateway National Recreation Area. A circa-1978 National Park Service photo by Jack Boucher of Miller Field's North Hangar (Building 33). 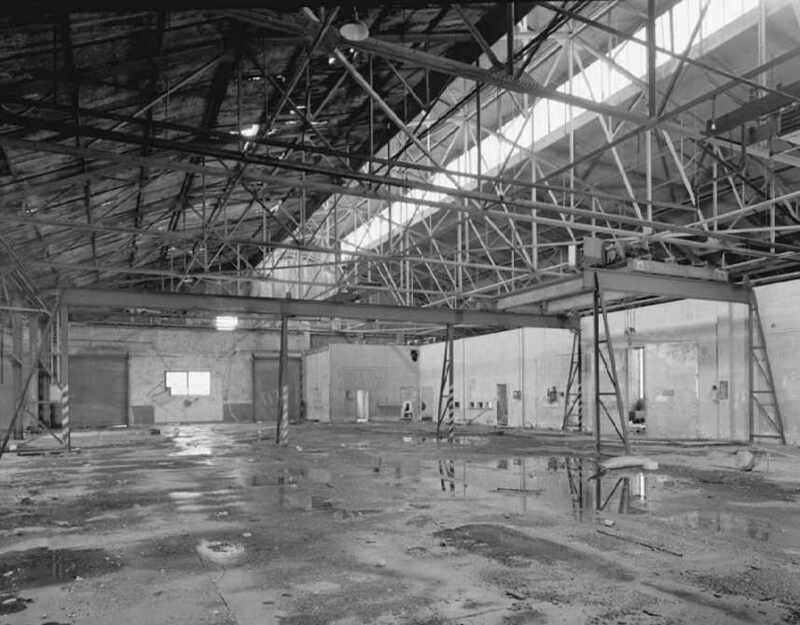 A circa-1978 National Park Service photo by Jack Boucher of the interior of the North Hangar (Building 33). but “towers” were the only details depicted on the field. 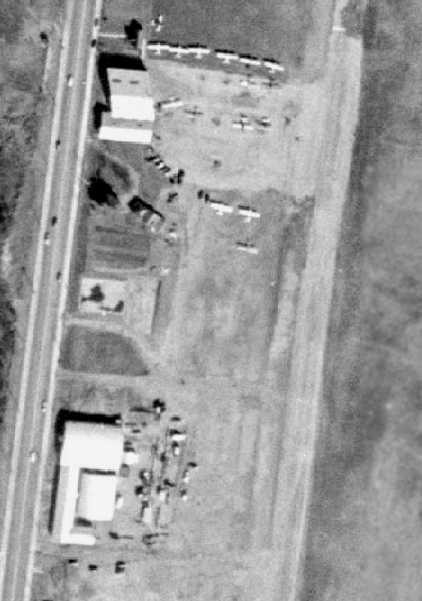 A 1991 USGS aerial view looking north at Miller AAF, showing the asphalt taxiway portion & hangar at the southeast side. A 2003 aerial photo of Miller Field by Ed Drury. "The lookout tower is visible near the beach. although the seaplane ramp was near the big hangars." built as a Base End Station, part of the coastal defense network during WW2. on the southern corner of the property along the Bay. A high school has been built on the northwest corner of the former airfield. 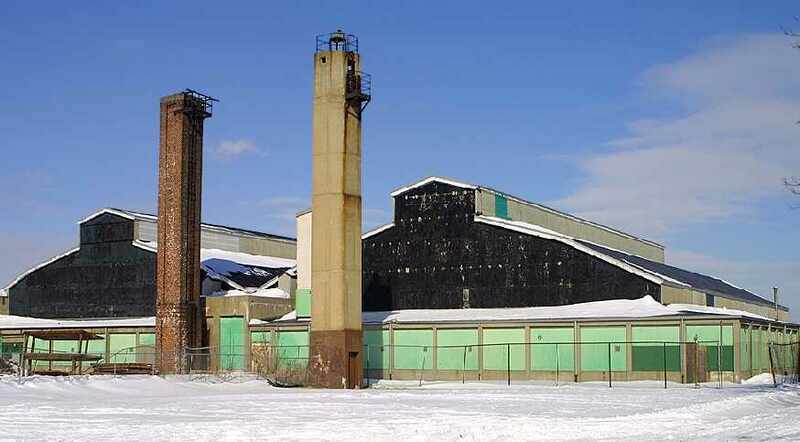 A 2004 photo by Tom Turner of the remaining hangars at Miller Field, along with the beacon tower (in the center). A circa 2007 aerial view looking south at the Miller AAF hangars. A 1/11/13 aerial view by Butch Moran looking south at Miller Field. A 2014 aerial view looking north at Miller AAF, showing the asphalt taxiway portion & hangar at the southeast side. 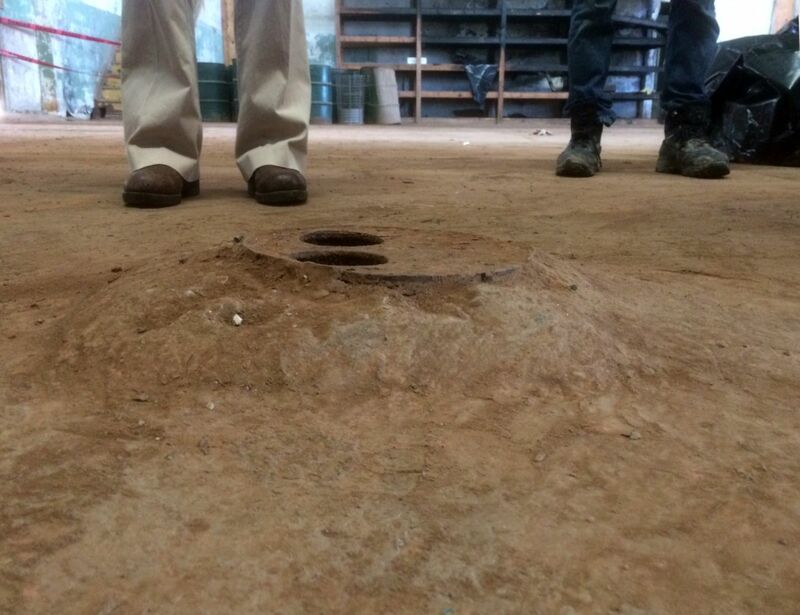 A 12/1/16 photo by Jonathan Blonk of an unidentified feature on the floor of Miller Field's Hangar 38, the furthest southeastern hanger on the site, originally a seaplane hangar. Jonathan reported, “I am assisting in cleaning up from Hurricane Sandy at Miller Field. Running from north to south down the center of the east hangar appears to be about a 2 inch metal pipe about 8 inches under the concrete pad. The pipe comes up out of the floor at 4 locations to metal plates with 2 holes in it. plus we believe we have located the floor drain in the middle of the hanger at grade level. There is debris & sediment currently being cleaned up which is preventing us from seeing the complete hangar floor.